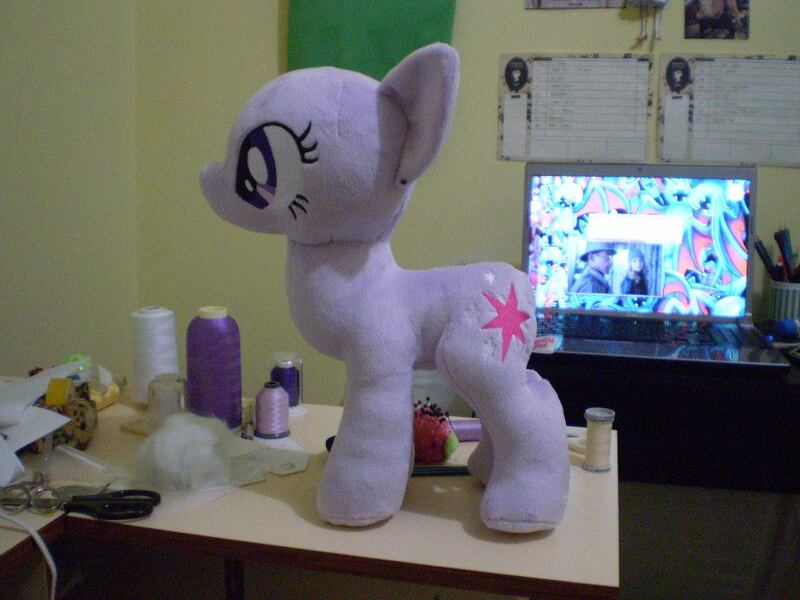 Just some WIP pics for Winter Wrap-Up Twilight plushie by sugarstitch (who also made Baby Applejack)! 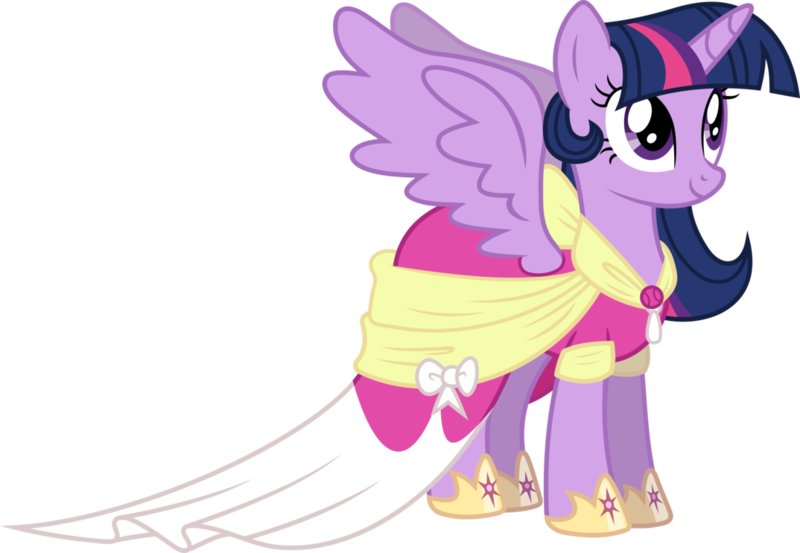 and Twilight wearing her coronation dress! YAY! sugarstitch did such a perfect job on her forelock! 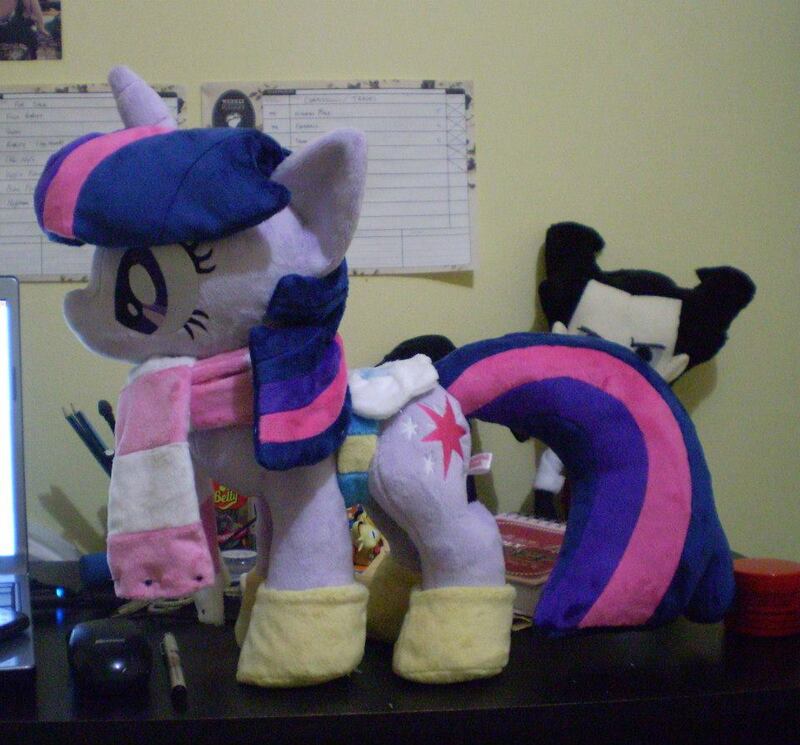 A lot of plushie artists have difficulties with Twilight’s forelock! Either it’s “uplifted” and flailing all over the place or it’s sad, flat and droopy looking. She just needs some embroidery floss for the scarf tassles! Size: Approx. 10″ to the top of her head and 13″ tall to the top of her hair. 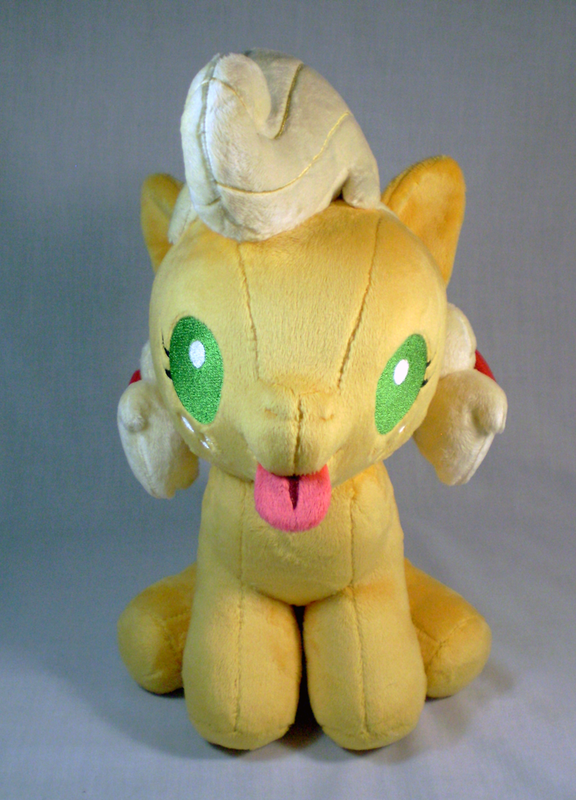 Anyway, Applejack is made from Mango and Yellow minky, and her nappy and hair accessories are made of suedecloth. 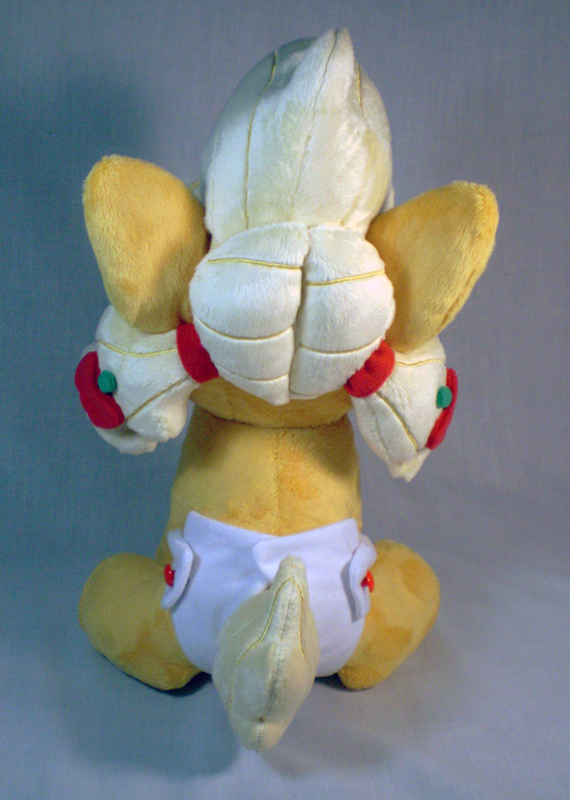 Her nappy is removable via press studs, and has a red decorative button thing on either side. She has machine embroidered and satin stitched detailing and an adorable little tongue. YAY!!!!!! 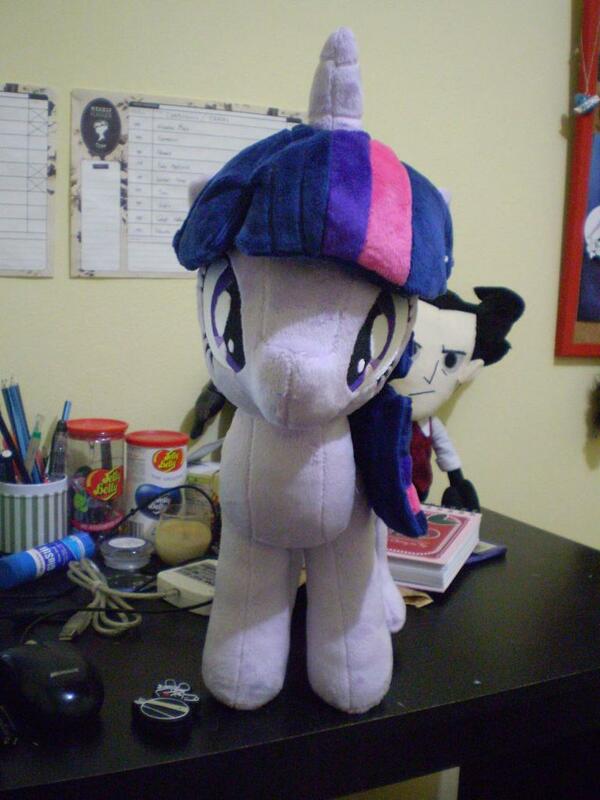 ^-^ She’s such a cutie pie! 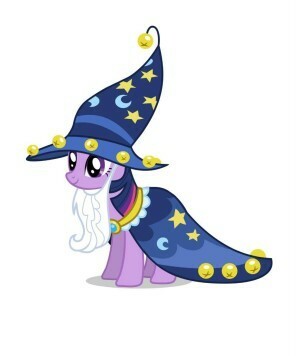 I’d happily give this little baby ALL my apple fritters! 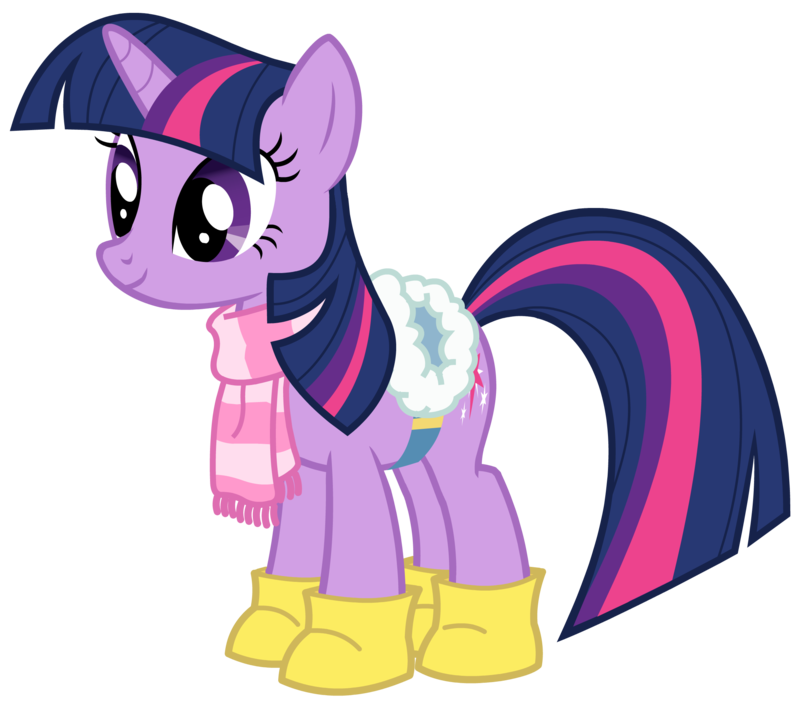 XD I can’t wait to meet both Baby Applejack and Winter Wrap-Up Twilight! Thanks!!! 😛 definitely one of my fav designs for her! 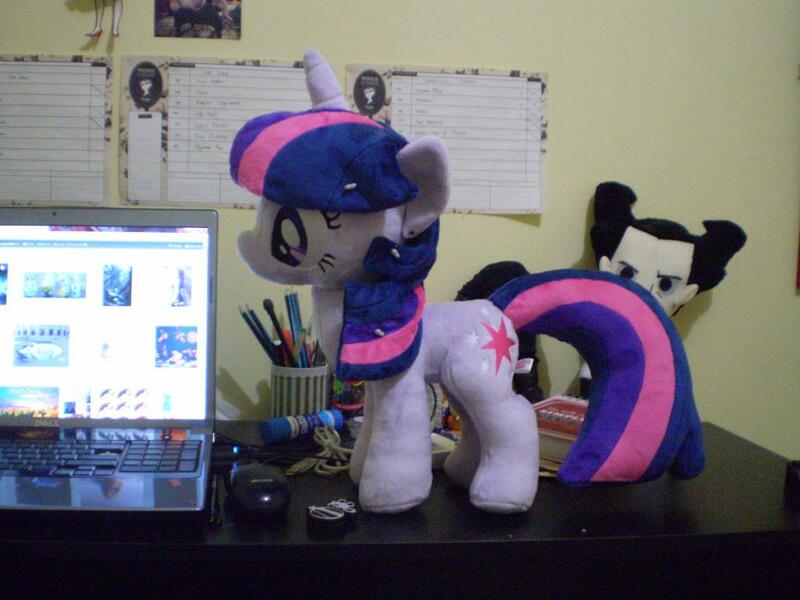 Pingback: MLP: Sugarstitch plushies are here! | Everyday with Rilakkuma feels happy like a Rainbow!